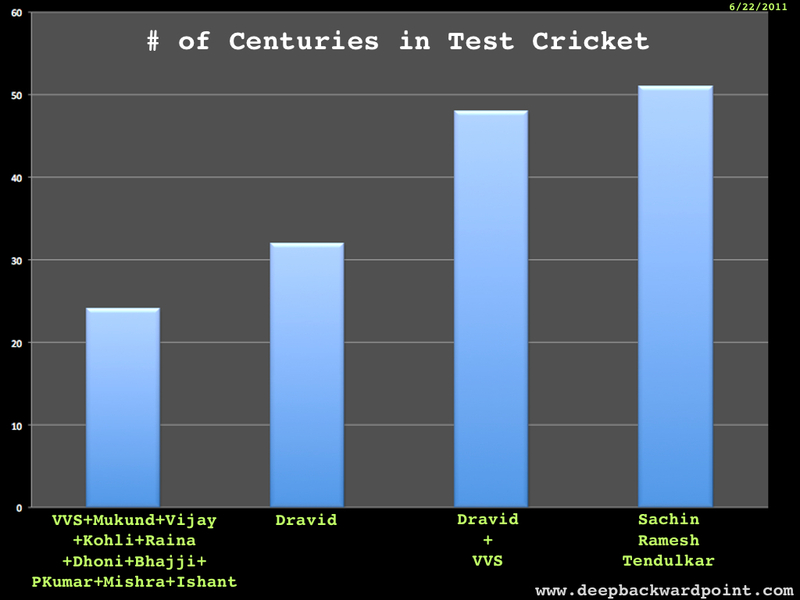 Dravid played a Dravid-esque inning yesterday, and in his honor, I present a single chart to show you his awesomeness. And Sachin Tendulkar’s even more awesomeness. Yeah, I was going to stick with Dravid but couldn’t resist throwing in SRT at the end.